It’s been a tough week, and an even tougher year for our Dear Old State. But the reasons we fell in love with Penn State in the first place are still intact and always will be. 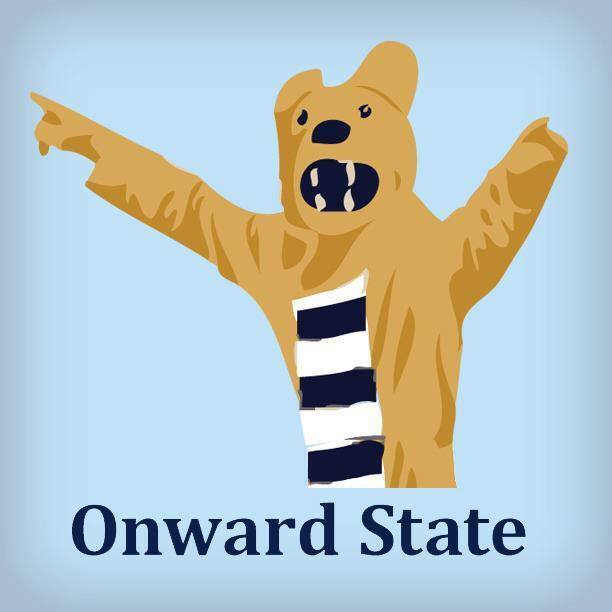 Here are Onward State’s 40 reasons to still be a proud Penn Stater. 1. The largest alumni association in the world. 3. …and the backwards walking Lion Ambassadors. 4. Old Main at sunset. 5. The Arboretum fountain on a warm spring day. 9. Apartment parties that last until the sun comes up. 10. Relay for Life, which raised $69,000 this year. 12. Mike “The Mailman” and his infectious smile. 14. Your “Twenty Phyrst”, which you might not remember all that well. 16. …especially the National Champions. 17. When Dean DeVore introduces “The Pennsylvania State University Marching Bluuuuuuue Band” before football games. 18. The College Avenue McDonalds with your best friends at 3 in the morning. 19. Our sacred Alma Mater, which we will still sing with unparalleled pride. 20. Penn Staters like Adam Breneman who are helping change the world before they even get to campus. 21. The world class Berkey Creamery. 24. The view from the top of Mount Nittany. 26. The “Pink Zone” for breast cancer awareness. 28. …and a brand new coach who did the same. 29. A late night walk around campus to clear your mind. 30. West dining hall cookies straight out of the oven. 32. …and the friendliest squirrel population in the world. 33. The Willard Preacher and his red hoodie. 34. Lift for Life by the Penn State football team, the largest student/athlete-organized philanthropy in the world. 35. Grilled stickies at The Diner. 36. The One Heart PSU “Blue Out” for sexual abuse victims. 38. …and going to Cafe with the same friends when you’re a senior. 39. THON, which has raised over $88 million for childhood cancer research since 1977. 40. And above all, the strongest, most unified student body in the country, with a spirit that remains unbreakable. Penn State Forever!